Debt?! I thought we were talking about Retirement?! Scott, I want all my debt paid off in retirement! Who has debt in retirement? In a perfect world, none of us would have debt. We would have millions of dollars saved. There also wouldn’t be war or homelessness or child abuse or mosquitos or a neighbor with a dog that barks endlessly or eggplant (I hate eggplant). However, we don’t live in a perfect world. Put on your big kid pants and we’ll delve into the topic of debt. Recently the Federal Reserve Bank of New York released a report entitled How Do Mortgage Refinances Affect Debt, Default, and Spending? Evidence from HARP (Abel & Fuster, 2018). It was a fascinating read. The study found that default rates on mortgages fell by 40% after refinancing to a lower interest rate and lower payment. Additionally, it found it led to those with lower income paying down (or off) credit cards and increase their auto debt. What information can we extrapolate from this study and apply to those who are retiring or retired? Most families, when retiring, endeavor to spend less in retirement. They are trying to consolidate monthly bills. In the case of a refinance, we don’t owe less money, we typically obtain smaller payments. We inherently understand that lower bills will generate less drag on our portfolio. Simply put, “Bills are a drag.” To that end, most of the families I work with want to eliminate debt for one specific reason; they want to eliminate that payment. In an effort to sound extra-super smart, the investment industry has even given this phenomenon a name. We call this sequencing risk. OHHHH … fancy. Think of it this way, you are going to pay bills every month, hence you create a sequence of events. In a perfect world, you would earn 7% on your investments every year and would spend 5%. In the real world, at some point, you are going to make your withdrawals while the market is down. Here is the moment where the sequence you created results in a negative effect on your portfolio. Let’s say the market drops 10% in a year and you spend 5%. How much did you lose that year? You lost 15%. Ouch. You contributed to your investment losing money in a given year. I ask you, “What is your largest monthly expense?” For most people, it is their mortgage. If you are going to retire, you have equity in your home, and would like to lower (or eliminate) your payment, what can you do? “What is your largest monthly expense?” For most people, it is their mortgage. You can get a reverse mortgage. I’ll give you a moment to compose yourself. Scott, I’ve heard that the Reverse Mortgage was created by Satan, are you a minion of The Devil? No, I’m not Beelzebub’s lackey. Quite the opposite, the reverse mortgage has changed substantially over the last decade. The federal government insures and regulates these tools. They don’t want to see abusive products that ultimately hurt you and them in the long run. The Reverse Mortage allows you to lower monthly expenditures and/or cover monthly expenditures. This lowers the impact of the sequence we create in retirement. Imagine that you are only pulling 3%/yr from your retirement assets instead of 5%. Let’s go back to that year we lost 10%. Instead of losing 15%, you would only lose 13%. Don’t scoff! If you lose 13%, you need a 15% return to get back to even. If you lose 15%, you need an 18% return to get back to where you started. Heaven forbid you have losses two years in a row! Does this mean you have to get a reverse mortgage in retirement? Does this mean you only need a reverse mortgage in retirement? The answer to both those questions is, “NO!” A reverse mortgage should be part of a well-crafted retirement income plan focused on maintaining your lifestyle in retirement. Most people, when I say the words reverse mortgage, shudder. Remember, we are discussing tools of the trade. I’d prefer to see someone have access to a tool. You may never need the tool. What do we do if we suddenly find ourselves in need of the tool, but without access? 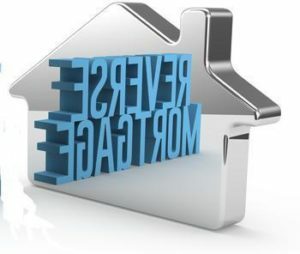 If your advisor has never mentioned a reverse mortgage, we can help you do a cost/benefit analysis. Certainly, they aren’t for everyone, but we’ve seen this tool provide a considerable benefit to a wide swath of families in different financial positions! Don’t play chicken with your nest egg, make sure you have valuable tools available BEFORE disaster strikes. Abel, J., & Fuster, A. (2018). How Do Mortgage Refinances Affect Debt, Default, and Spending? Evidence from HARP. New York: Federal Reserve Bank of New York.